1. You do not need to PURCHASE anything, simply add the items to your registry as indicated. 2. Create a registry (with the needed items), print the form, print your registry, and send them to the address listed on the PDF. 3. Some stores allow you to create a birthday, wedding, or anniversary gift list. 4. The link to the store will bring you to the registry page. The links for the brands will bring you to the PDF form to print. Cuisanart: Register for $150 or more of Cuisinart products and get recipe set software with 75 Cuisinart recipes. Expires 1/31/16. Kitchenaid :Register for a KitchenAid Stand Mixer, Mixer Attachment and Blender and get a $10 Sur La Table gift card. Expires 7/30/15. Microplane: Register for $49.95 or more of Microplane products and receive a free cut resistant glove. Expires 12/31/15. Shun: Register for $450 or more of Shun cutlery and receive a free Shun cutting board. Expires 1/31/16. 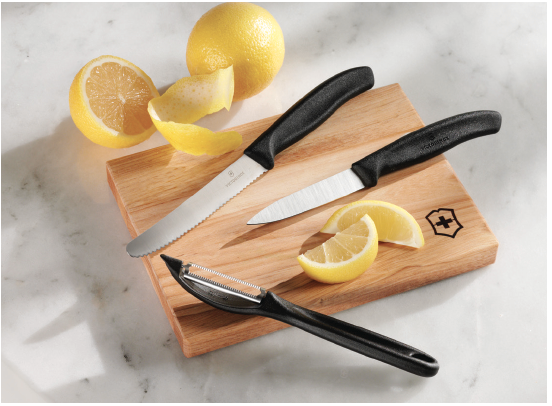 Victorinox: Register for $150 or more of Victorinox cutlery and get a free 4-piece prep set. Expires 12/31/15. Wilton Armetale: Receive a free small heart dish when you register for $300 or more of Wilton Armetale products. Their item rotates each month. Right now it is a Juliska server. Wusthof (follow general link above and find the list) :Register for $200 of qualifying Wüsthof products and you'll receive a Wüsthof Chef's Apron. Expires 1/1/16. Riedel: Register for $500 of qualifying Riedel products and you'll receive a polishing cloth. Expires 12/31/15.